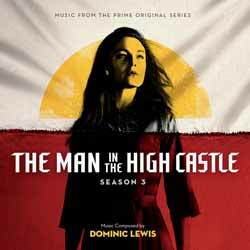 Dominic Lewis builds on his score from The Man in the High Castle's first two seasons. It's atmospheric and engaging, and does manage to deliver some interesting themes. On balance though, there's little here that you haven't heard before over the course of these 13 tracks (38 min, 32 sec). If you're a keen follower of the show, and enjoyed the previous season release then this represents more of the same. I did find it enjoyable and atmospheric, in a gothic sort of way, but it's a score that I doubt will last you very long. It's not the sort of release that you'll be enjoying 6 months from now. Perfect in the series, and above average as a listening experience outside the show.